Check out what towns will be hosting Easter egg hunts, parades and brunches around the region. Many families around the area will be celebrating Easter this weekend and there is no shortage of events taking place. Check out what towns will be hosting Easter egg hunts, parades and brunches around the region. Flexible locals can stop by the Evesham Library on Saturday morning, April 15, for the library’s “Refresh & Renew Yoga” program for adults and teens. Starting at 11 a.m., locals can begin energizing, stretching and relaxing their bodies. The one-hour yoga class is for adults and teens ages 13 and up. Visitors are asked to bring a mat or towel and a bottle of water and wear comfortable clothing. To register, visit http://www.bcls.lib.nj.us/evesham. The Haddonfield Y Men’s Club is hosting its annual Easter Egg Hunt on Saturday at Crows Woods, 319 Merion Drive in Haddonfield. Children can gather eggs and win prizes. All participants should bring a basket from home. The event begins at 10 a.m. sharp. Thousands will descend upon Cherry Hill High School West’s football field on Saturday as Kingsway Church hosts one of the largest egg hunts in the area. There will be separate hunts for age groups 0 to 2, 3 to 5, 6 to 9 and 10 to 12. The first hunt for ages 0 to 2 will begin at 10 a.m. on Saturday, with the other age groups to follow. More than 75,000 eggs will be available to collect. All of the eggs will have either candy or a golden ticket inside. Participants are asked to arrive early. The hunt is free to attend and open to all. Visit www.kingswaychurch.tv/news/egghunt for more information. 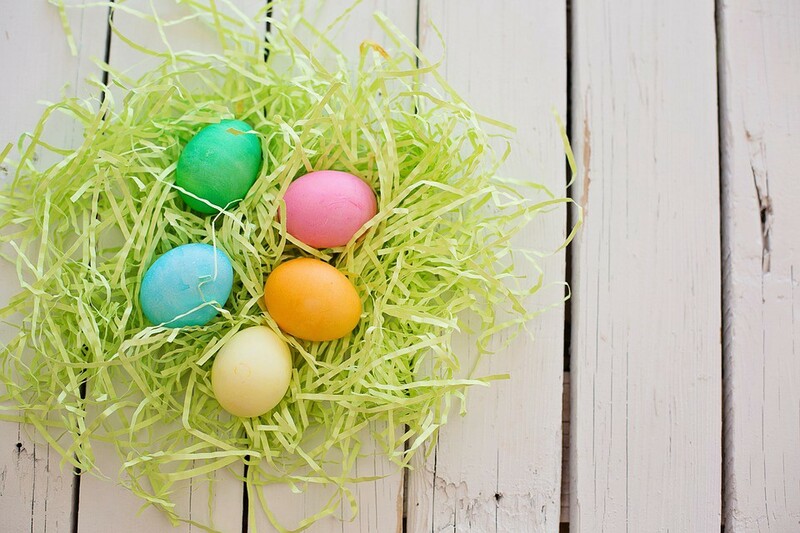 Egg hunts will also be taking place in a number of shore towns this weekend. On Saturday in Wildwood, kids ages 1 to 12 can participate in the Greater Wildwood Jaycees Easter Egg Hunt. The hunt begins at noon at Lincoln Avenue and the beach. Kids can dig in the sand for eggs and try to find a golden egg to win a big prize. The rain date is Sunday. Visit www.wildwoodsnj.com for information on this and other egg hunts taking place in Wildwood this weekend. On Sunday, a few shore towns will be holding Easter fashion strolls. One of these will be taking place in Cape May. The Washington Street Mall at 300 Washington Street will be the host for Cape May’s annual Easter Fashion Stroll beginning at 1 p.m. There will be judging categories and prizes for the best dressed in the event. Treats, gift certificates and ribbons will be awarded to the winners. Registration begins at noon. Visit www.discovercapemaynj.com for more information. Families can hop over to the Philadelphia Zoo this weekend and enjoy the zoo’s Easter Bunny Brunch. Tickets for the 9:30 to 11 a.m. brunch on Sunday are still available. The event includes a buffet, Easter egg hunt, games, crafts and photo opportunities with the Easter Bunny. Admission to the zoo is included. For zoo members, tickets are $32.99 for adults and $27.99 for children. For non-members, tickets are $42.99 for adults and $37.99 for children. Visit www.philadelphiazoo.org for more information. On South Street Sunday, enjoy an Easter tradition at the 86th annual Easter Promenade. The parade begins at 12:30 p.m. at 430 South Street and travels down to Headhouse Square on 2nd Street. Enjoy Easter treats, live music from the Philadelphia Freedom Band, the Bunny Hop, Mr. and Mrs. Peter Cottontail and more. Children and adults are eligible to receive a best dressed or best Easter Bonnet prize. The event is free to attend. For more information, visit www.southstreet.com/easter-promenade.